One of the things I’ve been highly attuned to in recent times for L&D in the UK is that we’re expected to know a lot about a lot, and there are few open programmes that cater for the development of skills and knowledge required to be a modern learning leader. So I’ve been spending time recently looking at how we can design a programme which helps support L&D leaders in the formal development of their skills and knowledge. I’m pleased to launch the Modern Learning Leaders programme. It’s a two day masterclass which is designed around modern learning theories, models, approaches, and methodologies. One of the things that can sometimes feel elusive or cumbersome in the design and delivery of learning solutions that we deliver is the inclusion of delivering learning solutions through different methods. This programme will showcase how you deliver a programme using a variety of media, resources and content. As you experience the programme, you’ll be actively learning about all approaches mentioned, with the idea in mind that you will be a better skilled L&D leader for your organisations. Those are just the core elements. They may not seem that innovative to what is needed for a modern learning programme to be delivered. That’s kind of the point I’m trying to highlight and help others make sense of. Modern Learning programmes don’t need to be whizz bangy, they just need to be well designed with modern learning approaches. Through this blog, and via other social media, I’ll be openly sharing the design thinking that’s gone into making the programme happen, and openly sharing about challenges along the way as well as successes and my own active reflections. The two day masterclass will be held in London on 13 and 14 September, 2017. It won’t be your typical training course. It’ll be focused on exploring the topics you deem as necessary. We’ll do that using Open Space as an approach for you to design the content of the two days. This approach drives a self-directed agenda to become skilled and knowledgeable as you need. Each session in the masterclass will then be focused on knowledge exploration, understanding and the creation of a learning solution with that content discovery in mind. If it feels like that’s a step away from what you normally experience in a ‘training programme’, that’s exactly how it should feel. Ahead of this, though, and importantly we’re going to build towards the session by inviting you to be part of five webinars and a Slack group. The webinars will help to establish some baseline understanding of each topic so that you’re primed, thinking well and actively doing something with your knowledge before the masterclass happens. That’s learning design for adults right there. This is how we should be delivering learning solutions as leaders. The Slack group will enable discussion, sharing of insights, sharing of resources and content ahead of the masterclass. It’s in this space we’ll be developing our understanding of the content, sharing our thinking with others, and seeing where that takes us. That’s also learning design for adults – when adults have a space for reflection and thinking, it enables development of skills and knowledge. Isn’t that what we’re always trying to achieve? You can book onto the programme here. The ticket is £450 (plus VAT), but there are limited number of tickets at cheaper prices if you get in quick enough. I’ve planned it to happen far enough in the future that a number of things can happen. People can’t commit immediately to things like this, they need time to digest, understand and make a decision (even if their initial inclination is yes, it’s still a commitment). The webinars and Slack group will build people’s capability, knowledge and skills so that when the masterclass happens, people will be ready to have proper debate, exploration and development of skills. The masterclass is an event – I’ll be sharing content and resources openly ahead of the event so it’s not limited to those attending. The benefit to those attending is the face to face time which supports active development of knowledge, skills and thinking in an environment primed for exactly that to happen. I’m opening the webinars up to being available independent of booking onto the programme. You can book onto each one separately. Monday 24 July, 19:00-20:00 (UK) – The human condition. In this webinar we’ll be exploring modern theories about the human condition, what they help us to understand about human behaviour, and how we can be better leaders in learning. You can book onto this webinar without committing to the programme. The ticket is £30 (plus VAT). Monday 31 July, 19:00-20:00 (UK) – Instructional design. In this webinar we’ll be gaining better understanding of instructional design and how it’s an important part of better e-content creation and production. Monday 7 August, 19:00-20:00 (UK) – User experience. In this webinar we’ll gain a better insight into what we mean when we say user experience. From this we’ll be able to better understand how to design better programmes which make sense for the user and follow good design principles. Monday 14 August, 19:00-20:00 (UK) – Adult learning theories. In this webinar we’ll be taking a closer look at what we know about adult learning, how we can design learning fit for adults, and the implications of this in delivery of learning solutions. 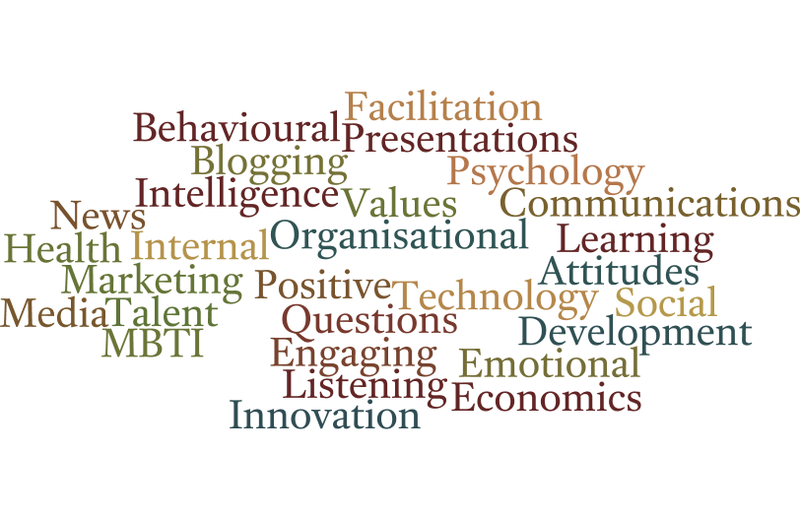 Monday 21 August, 19:00-20:00 (UK) – Social learning technologies. In this webinar we’ll better understand how different learning technologies serve different purposes for learning design. For example, we’ll see how Slack, Twitter and blogging can all help improve our capabilities as learning leaders and in learning solution design. These sessions will all be lead by me (Sukh), and I’ll be asking special guests to help deliver the content for each. Booking onto the webinars does not mean you’re part of the Modern Learning Leader programme. The Slack group will be by invitation only. Slack is a useful social technology which enables people to share insights with each other, content and resources. It’s a really useful way to enable discussion ahead of a learning event and providing a way for people to get to know each other in advance. Interested in what this looks like? I’ll be honest, I’m quite excited to make this available – it’s been a labour of love and thinking over the least three years to bring it to this point! Book your programme ticket by clicking on the button below.